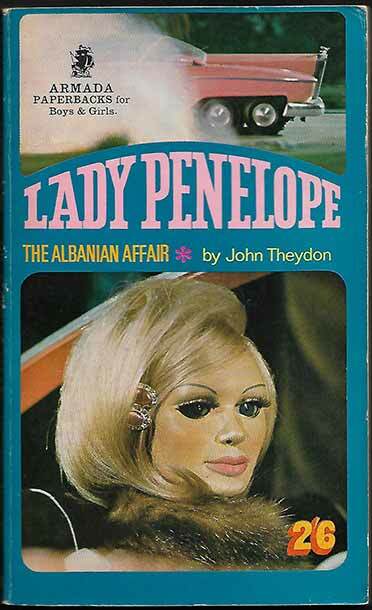 Books Update: Gosh, Parker, What A Lot Of Gerry Anderson Books! *TV/Film Tie-Ins: Yus, m’lady! 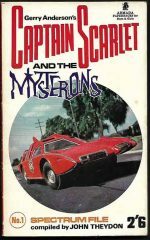 Ten books have been added to this category, all linked to favourite series by Gerry Anderson: Captain Scarlet and the Angels, Thunderbirds and Lady Penelope, and Stingray. Captain Scarlet encounters The Mysterons and The Silent Saboteur, while the Angels do battle with The Creeping Enemy. 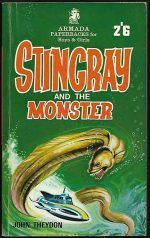 Stingray is represented by Stingray itself and by Stingray And The Monster, while in the Thunderbird universe Lady Penelope deals with the Albanian Affair and the Tracy family appear in Thunderbirds, Calling Thunderbirds, Ring Of Fire and Thunderbirds Are Go. All ten books are 1st UK PB and guaranteed to let you wallow in nostalgia as you enjoy the adventures. *TV / Film Tie-Ins: A mixed bag of TV and Film books join the ranks, all UK PB and mainly with a Science Fiction theme, but see if you can spot the odd one out. We’re particularly pleased to have our first Red Dwarf book, Infinity Welcomes Careful Drivers, but we also have Alien and Aliens, The Prisoner, 2001 A Space Odyssey, Joe 90 in Revenge, Till Death Us Do Part and Edge of Darkness. 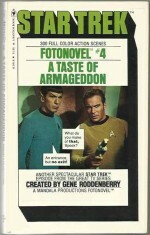 Many are 1st PB editions and nearly all have TV or movie images. Books Update: The Doctors Are In! 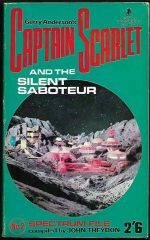 Books Update: Joe 90, Space 1999 And Thunderbirds – Action All The Way! *TV/Film Tie-Ins: Even better, it’s Gerry Anderson style action, as Joe 90 aims to W.I.N., the Space:1999 crew explore four episodes and the Thunderbirds team set off on their first adventures. All 1st UK paperbacks, in conditions ranging from FA/GD to VG. 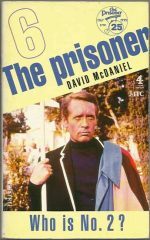 *TV/Film Tie-Ins: Fresh into our ever popular TV/Film Tie-In section are the New Avengers in The Eagle’s Nest, the Man From U.N.C.L.E.’s Radioactive Camel Affair and The Prisoner’s A Day In The Life, all featuring TV covers. Best of all, for anyone considering a new career for the New Year, is the ABC Of Espionage, compiled under the auspices of the Men From U.N.C.L.E. *TV / Film Tie-Ins: The Avengers are back! Steed and co. are back in stock this week with some rare paperbacks. 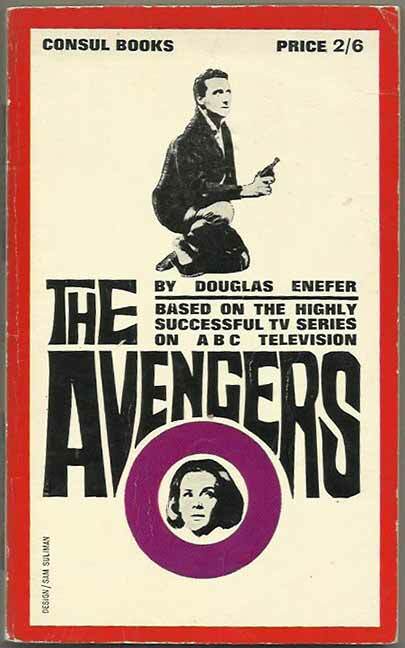 First up is the very first Avengers novel by Douglas Enefor. We’re fortunate to have two copies of this rarity available in a choice of printings: 1st printing (left below) VG at £55, 2nd printing (centre) VG at £50. Also, Dead Duck, authored by Patrick Macnee himself, VG at £15. Still hugely popular and transcending their cult status following, Steed and his female companions have entered into true iconic status. *TV / Film Tie-Ins: Four more books join this section today, two sharing a time travel motif. Captain Scarlet battles the Silent Saboteur, intelligent apes go back to 1970’s Earth in Escape From The Planet Of The Apes, The Protectors (with a cover featuring the late Robert Vaughn) do their thing and two teenagers dart about the fourth dimension in Timeslip. 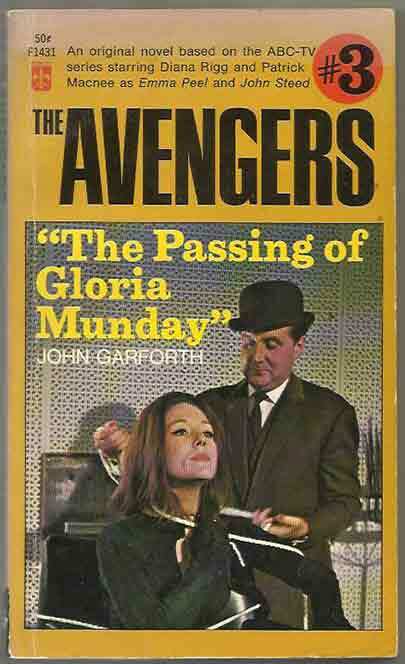 *TV/Film Tie-Ins: The revamped New Avengers TV series proved just as popular as the original. Helped by the suave presence of Patrick Macnee as John Steed, Gareth Hunt (as Mike Gambit) and Joanna Lumley’s hairstyle as Purdey formed a swash-buckling trio, foiling Britain’s enemies at every turn. 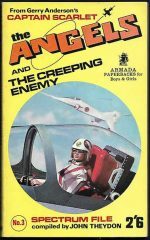 We have added five of the six paperback novelisations: The Eagle’s Nest, To Catch A Rat, Fighting Men, The Cybernauts and Hostage. In grades ranging from GD to FN, these are all first publications. The TV covers variously offer the chance to see Mike Gambit looking uncomfortable in a gi, Purdey breaking her toes in a poorly executed kick and Steed looking distinctly queasy as the passenger in a biplane piloted by Gambit. 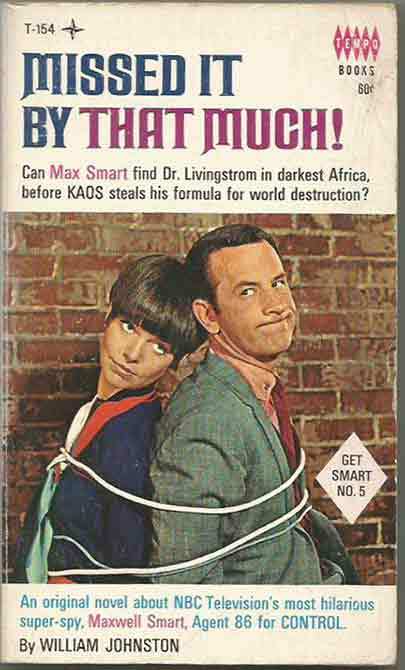 *TV/Film Tie-Ins: So popular was the Man From UNCLE on our screens in the mid-1960’s that a spin-off series was called for, starring Stefanie Powers as the Girl From UNCLE (and her side kick Mark Slate, played by Noel Harrison). 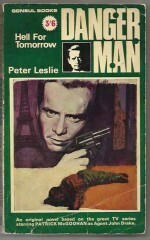 Like the TV show, the book series from the franchise didn’t last as long as its parent; whereas a total of 23 books of the Man From Uncle were published (7 only in the US), Girl From only accounted for 5, bizarrely only 2 in US editions, and 4 in the UK, including #2, #3 and #4 which are UK originals. We have all three of those fresh in, plus #2 in the American series, The Blazing Affair, never published in the UK. 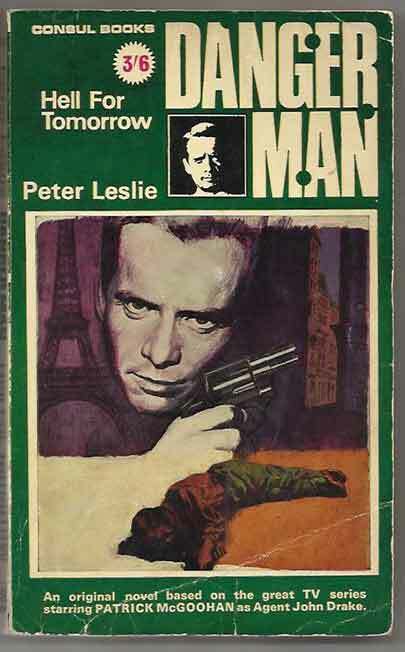 Like the Man From UNCLE books, quality varied according to author, but Michael Avallone and Peter Leslie carried over their good work from the parent series. 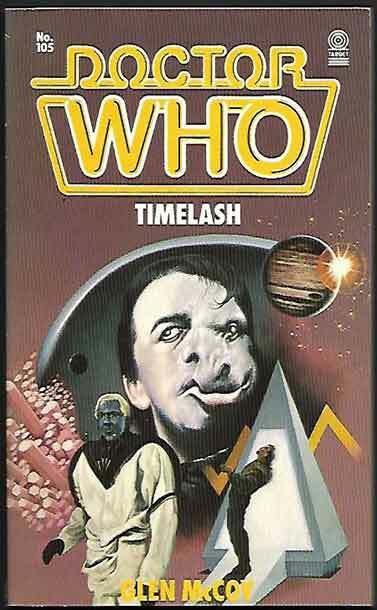 *TV/Film Tie-Ins: Some classic Dr Who stories novelised this update, featuring the 1st three Doctors. 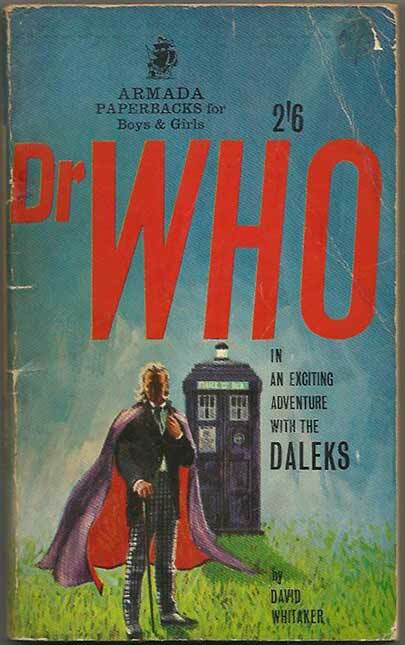 Star of the show is the first ever Dr Who book from 1965, published by Armada: Dr Who In An Exciting Adventure With The Daleks, GD £18, written by David Whitaker, uncle of our late friend Steve Whitaker (who you can read about in our Extras section). 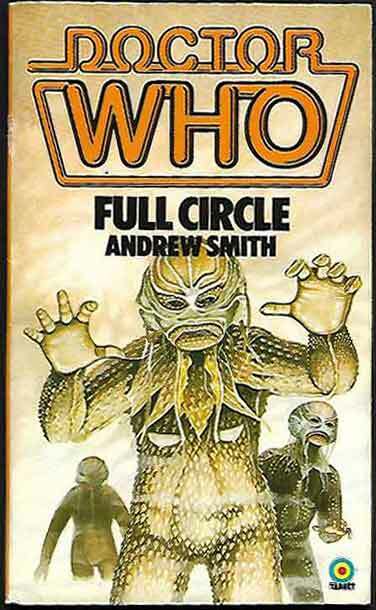 The other books are all Target versions, including the 1st Doctor’s first encounter with the Cybermen, the 2nd Doctor’s monster ‘favourites’ in The Abominable Snowmen, The Ice Warriors and The Web Of Fear and the 3rd Doctor’s tussle with The Sea Devils. 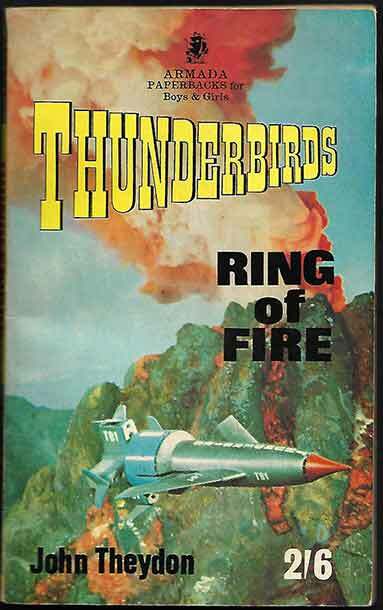 Books Update: Thunderbirds Are FAB! 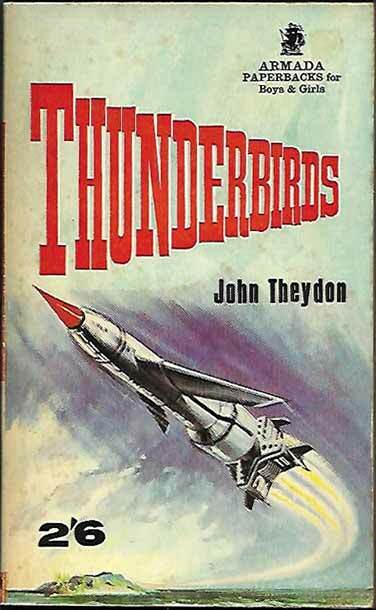 *TV/Film Tie-Ins: John Theydon’s Thunderbird books were hits when they were first published, and remain very popular today. We are very excited to add three novels: Calling Thunderbirds, Ring Of Fire and Thunderbirds, ranging from GD to VG in grade. 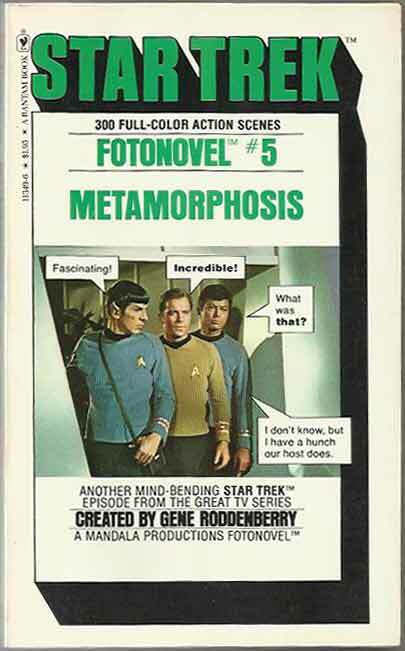 Books Update: Persuading The Sweeney To Get Smart And Trek In Space! 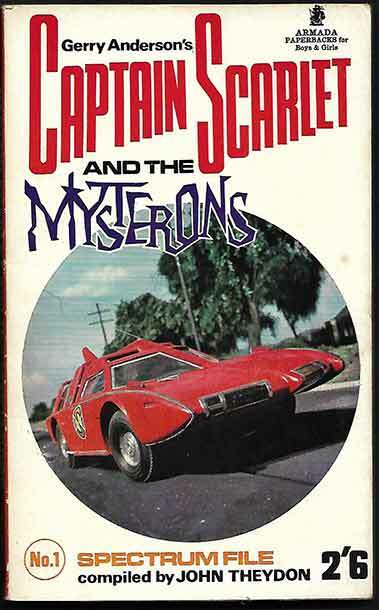 *TV/Film Tie-Ins: An eclectic selection of books for this ever popular section, covering law enforcement (Get Smart – Missed It By That Much!, The Persuaders Books One and Two and The Sweeney’s Regan And The Venetian Virgin) and space (Space 1999’s Planets Of Peril and Star Treks 2, 5 and 12. These are all 1st PB editions, in grades ranging from GD to VF. 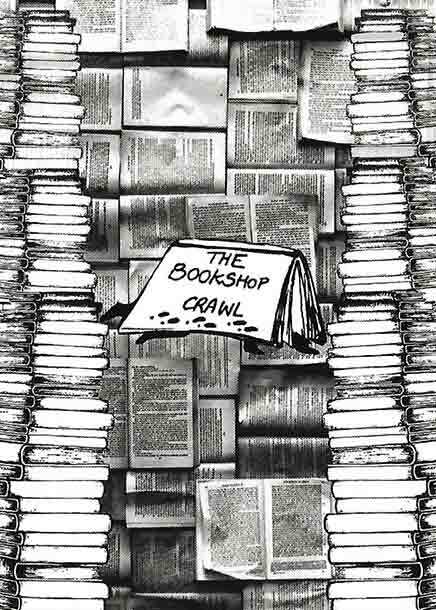 Books Update: FAB! SIG! SBFA!? *TV/Film Tie-Ins: Hold on, that last one doesn’t quite work. 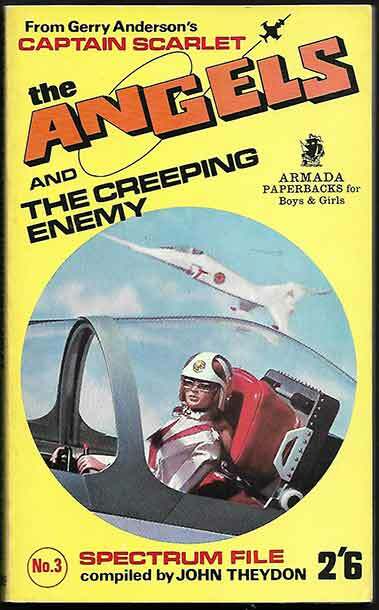 Gerry Anderson was great at Supermarrionation, but not so hot on acronyms. 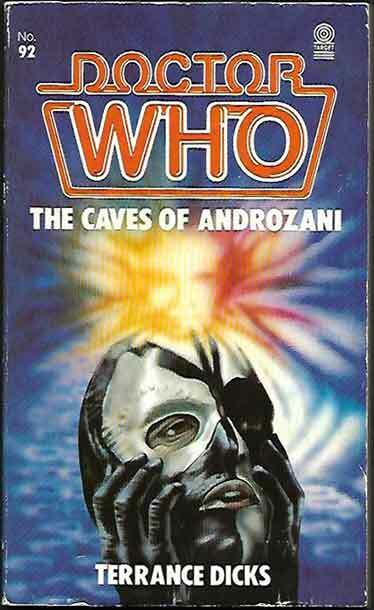 Despite that we are very happy to have three more novelisations of his work, along with The Authorised Programme Guide. 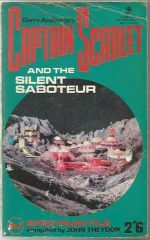 Stingray has the imaginatively named Stingray, Thunderbirds are dealing with a Ring Of Fire, and Captain Scarlet is facing the Silent Saboteur. All four books are 1st UK PB. We’re Standing By For Action. Books Update: I Am Not A Number! I Am A Book! 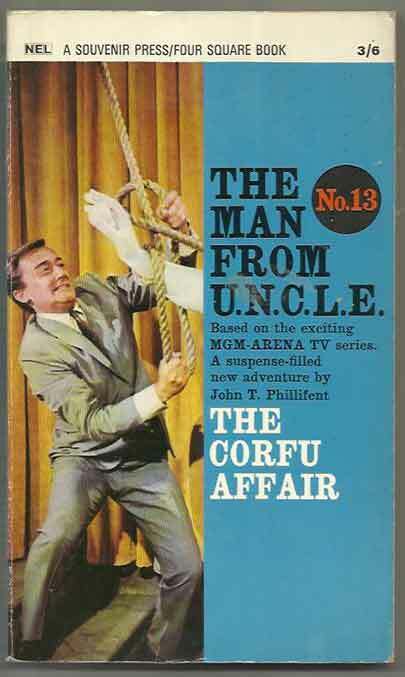 *TV/Film Tie-Ins: A large update of TV related books, ranging from the 1960’s to the 1980’s. Highlights include two Prisoner stories (The Prisoner and Who Is No. 2? 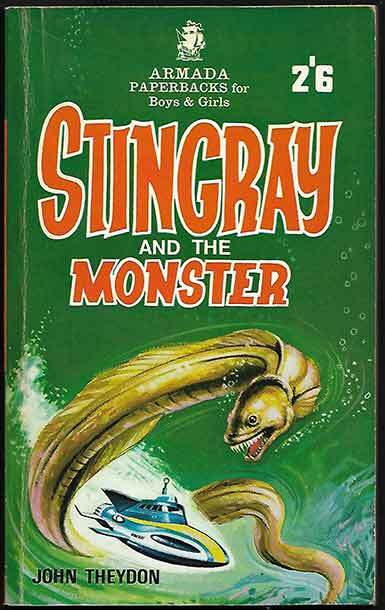 ), two Jason King stories (Jason King and Kill Jason King! 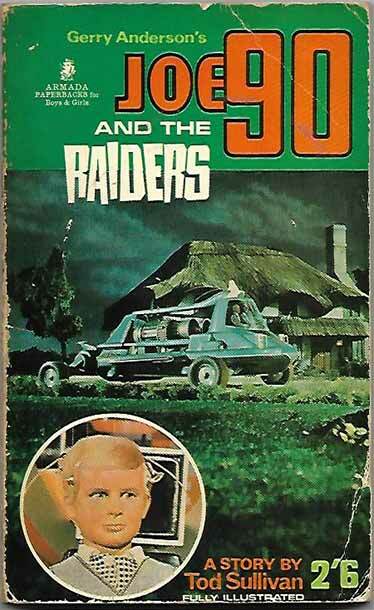 ), two Dangerman stories (Departure Deferred and The Exterminator) and two Joe 90 stories (Joe 90 And The Raiders and Joe 90 In Revenge), as well as Terry Nation’s Survivors. Other evocative programmes include Andromeda Breakthrough, Planet Of The Apes, Quatermass, the Persuaders!, the Professionals, the Tomorrow People, Timeslip and Up The Junction. 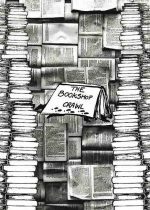 Books Update: Dr Who Regenerates Again! 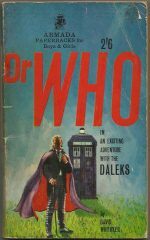 *TV/Film Tie-Ins: The Dr Who section no longer looks depleted, as we have restocked several titles ranging from The Android Invasion to the Web Of Fear. For those Whovians who have difficulty telling Sontarans from Zygons we have also provided help in the form of the fourth doctor (Tom Baker) in The Second Dr Who Monster Book. 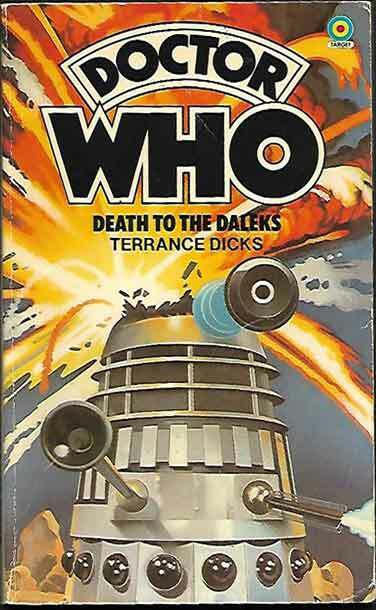 Packed with information about the Doctor himself, fresh from his regeneration, three of his companions: Leela, Sarah-Jane Smith and Harry Sullivan, and descriptions of some of the many criminals, evil and/or deadly robots and energy forms that he encounters, this is a great companion to the Dr Who novels. 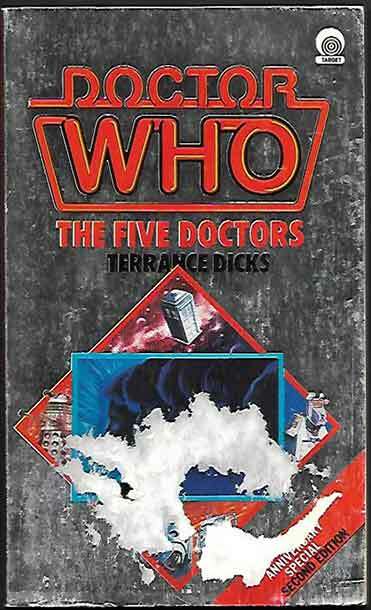 *TV / Film Tie-Ins: The perennially popular classic Target Dr Who titles have been updated to include generally higher grade copies and to replace missing titles. Previously absent titles include The Day Of The Daleks, The Web Of Fear and The Zarbi. Additions to titles already present include The Abominable Snowman, The Auton Invasion, The Cave-Monsters, The Dalek Invasion Of Earth, The Genesis Of The Daleks, The Loch Ness Monster and The Terror Of The Autons.